The New Cleo 84 collection of single-control mixer taps is the reinterpreted and even more minimalist version of Cleo 80, Fir Italia’s renowned collection based on cylindrical design. 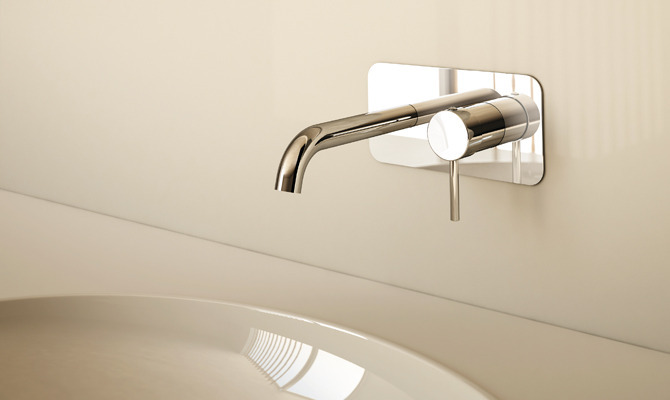 The New Cleo 84 tap is characterised by the round and proportioned contours of the body and spout, as well as the extreme simplicity of the lever in the form of a thin cylinder. Twelve solutions for deck-mounted wash basin taps, also available in "mini" versions, with an even smaller body diameter for a more modern and minimalist design. Among the solutions for the wash basin and bath areas, New Cleo 84 also offers floor-mounted taps with a DuPont™ Corian® detachable shelf. Bidet mixer, 170 mm high, center distance 110 mm long, with pop-up drain and pull-rod. Bidet mixer, 195 mm high, center distance 100 mm long, pop-up drain and pull-rod. External part for floor-mounted bath mixer, with diverter and shower set. External part for floor-mounted bath mixer, with diverter and shower set and removable round shelf. Wall-mounted water spout 3/4'', center distance 230 mm long, complete length 245 mm. Deck-mounted water spout, center distance 180 mm long, 270 mm high. Wall-mounted thermostatic shower mixer with external shower bar connection. Vertical bar with hand shower, flex and water inlet in the upper part (suitable for renovation). 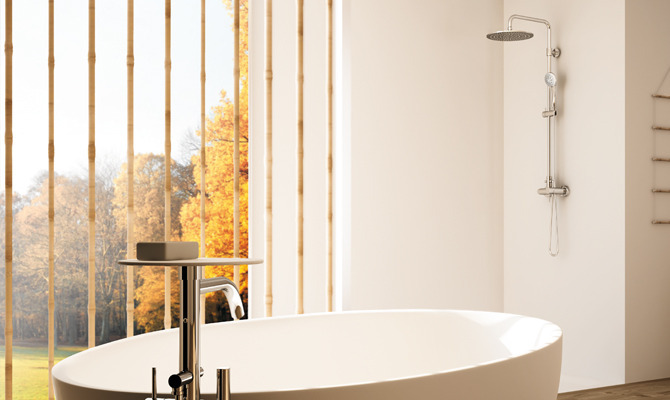 Vertical bar with multifunctional hand shower, flex and water inlet in the upper part (suitable for renovation).